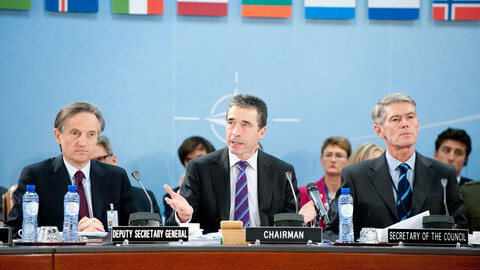 Sweden: Who needs Nato, when you have the Lisbon Treaty? Swedish defence minister Karin Enstrom has said her country is not in Nato partly because the EU treaty contains its own security guarantee. Speaking to EUobserver at the Globsec conference in Bratislava on Saturday (20 April), she said: "If you really read it, the Lisbon Treaty says you must support your EU neighbours with all the necessary means." 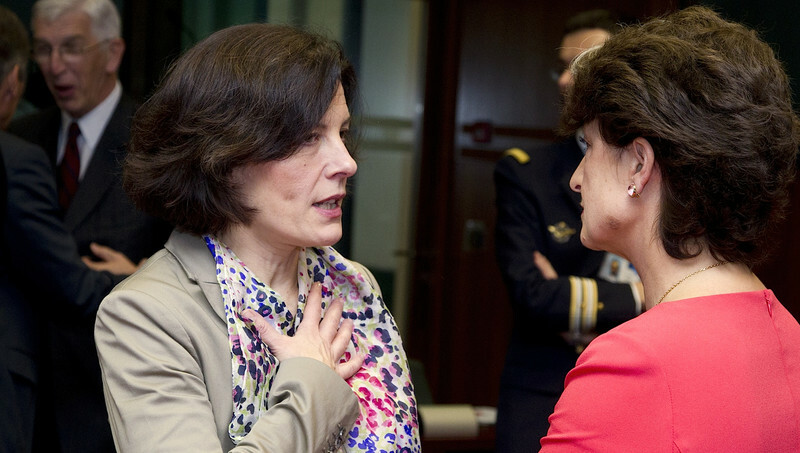 Referring to Lisbon's article 42.7, she noted: "Since the EU is not a military alliance, it's not like article five [Nato's collective security clause], but there is this line which says all EU member states must support any other member state if it's attacked or if it's affected by a natural disaster." She added: "It's really difficult to think that if one [EU] country ... was affected by a catastrophe or an attack, it would not affect all the other EU countries. It would be an act of self-interest to try to stabilise the situation." Sweden, Austria, Cyprus, Finland, Ireland and Malta are the only EU states which are not also Nato members. Historically, Sweden stayed out of Nato in solidarity with its neighbour Finland, which stayed out in order not to antagonise Russia. Sweden also has a tradition of neutrality going back to World War II. It is hard to imagine a scenario in which an EU country might face an attack by conventional forces in current circumstances. But Russia at Easter supplied one anyway. According to a report on Monday in Swedish daily Svenska Dagbladet, on 29 March two Russian bombers and four fighter jets took off from St Petersburg and carried out a mock strike on targets in the Stockholm region. Russia routinely tested Western air defences during the Cold War. The exercises petered out over the past two decades. But defence analysts expect more of them in future under a Russian programme to rejuvenate its military. Enstrom told this website that Sweden supports further EU military integration. Talk of creating a European defence force in parallel to Nato, an idea once favoured by France, Germany and Poland, has faded away. But Enstrom said EU leaders at a summit in December should give "a real commitment" to boosting their military capabilities and should launch joint procurement of military hardware. She noted the EU already has "battlegroups" - rapid reaction forces set up by clusters of two or three individual states and designed to intervene in overseas crises. They have never been used. But Enstrom said if or when one of them goes into action, it would be "a real leap forward … it would give new energy to European defence co-operation." 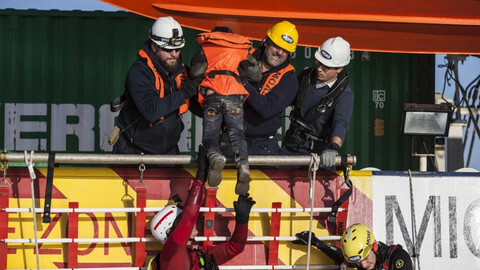 She noted EU countries have other joint operations which are active in the field, such as the Horn of Africa anti-piracy missions - Atalanta, Eucap Nestor and EUTM Somalia. She indicated it would help if the EU created a single military operations centre to co-ordinate its activities. "We don't want to have duplication [with Nato], but I think you are always more prepared if you have a capability of command and control. On the exact format, I don't want to say: 'This is the way it should be and this is where it should be.' But I think it could be good to get forward in this discussion as well," she said. 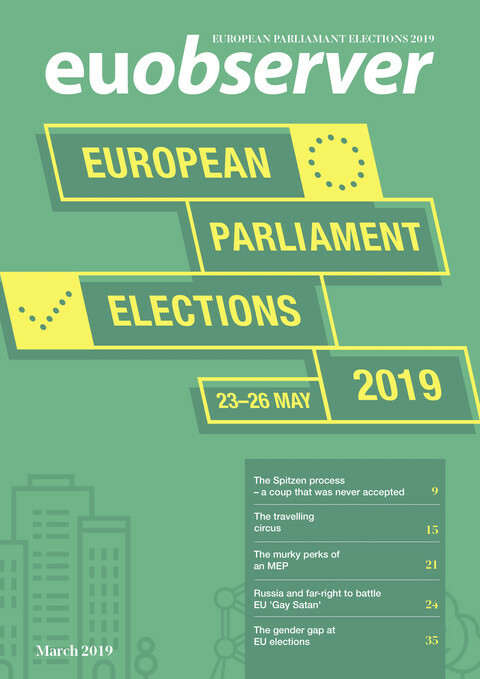 For his part, Nick Witney, an expert at the ECFR think tank in London, told EUobserver no one should put too much hope in Lisbon's article 42.7 just yet. "It's a rather small seed planted in the treaty … and it is yet to germinate. I don't think anyone really believes the EU right now can provide the kind of security guarantee Nato can provide," he said. Witney, who used to run the EU's military research branch, the European Defence Agency in Brussels, mentioned three reasons for lack of EU-level progress. "Firstly, lack of money. Secondly, the fact everybody feels safe … and thirdly because most people in Europe don't take defence terribly seriously. The Poles do a bit, and the Brits and the French. But mostly, people are interested in what their defence budget can do for their industrial base or for regional unemployment," he said. Another reason is Nato itself. During the Russian simulation in March, Sweden's air force did not react because it was on low alert during the Easter break. But Nato scrambled two Danish jets from a base in Lithuania. 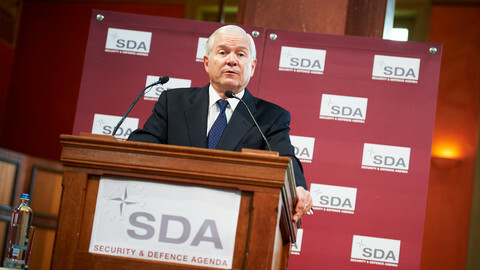 "Nato is always there and it has the Americans on board, which is quite handy," Witney added. He noted that even if Nato's article five does not cover non-Nato-members and even if Lisbon's 42.7 is fanciful, there is an overriding "solidarity of fact," however. He said: "Nato countries and EU countries are so dependent on one another, their interests run into each other so much … no one is going to attack Stockholm and think that British forces or other Nato forces will stand aside and watch." 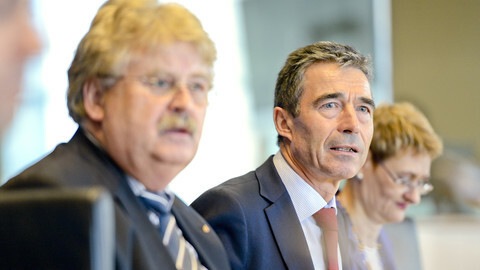 Nato chief Anders Fogh Rasmussen has urged EU countries to spend more on defence or risk losing US solidarity. 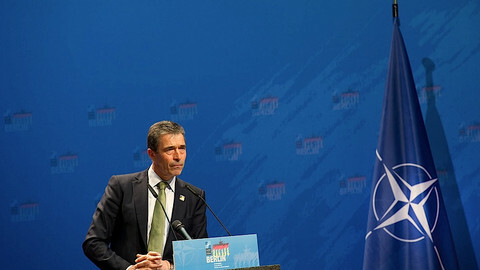 Nato head Rasmussen has said there cannot be a credible EU foreign policy without the military means to back it up. 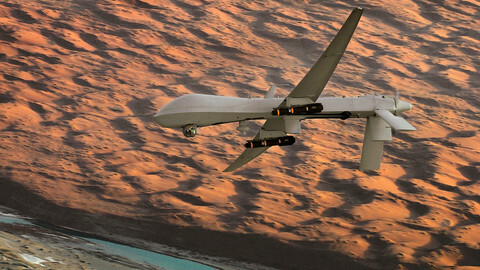 Nato chief Rasmussen wants EU countries to buy more surveillance drones, refuelling planes and naval radars.